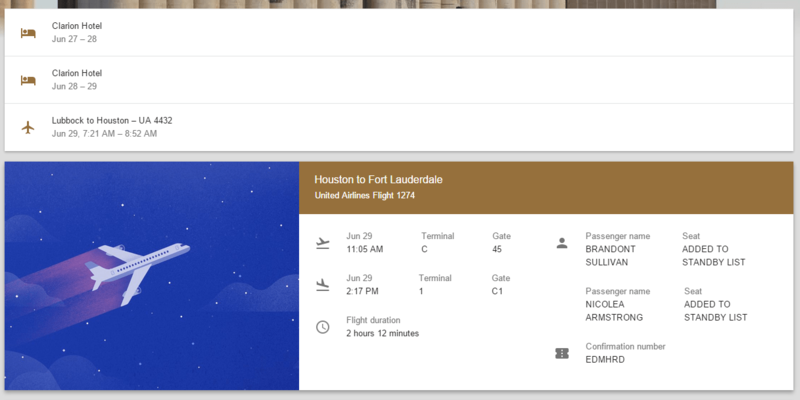 In my dealings with friends, family and coworkers over the past few months, I’ve found that many are unaware of “Inbox”, which is Google’s much sleeker, fancier Inbox display. Inbox can automatically bundle your emails into pre defined categories, by understanding the content inside of them, subject lines, etc. You can do filtering etc in Gmail also of course, but it’s a bit more tedious. For example, check this out… Here are a variety of trips I have planned/went on. Inbox knew I was traveling based on the message content. It then takes all of my plans, which can include hotels, rental cars, airfare, etc… and bundles it into a “trip” to that selected location. 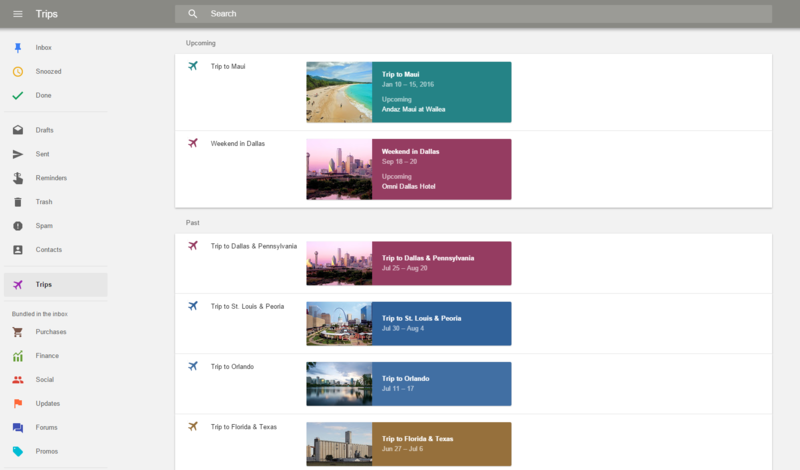 Inside each of those trips, are specific details about each reservation.. Hotel, car, flight, etc… Oh and did I mention it is automatically added to my Google Calendar? Yeah, it’s pretty sweet. Another neat feature is being able to turn on/off notifications for specific posts.. For example, promo emails can be cool, but getting a notification for each one might get really annoying.. So I can turn off the notification for those, while leaving notifications on for finance, updates, social, etc! Here is a look at editing settings in the mobile app.. It’s really easy! The events below are just samples from stock stuff online, but in general, events in your calendar are created from emails. Location information is added, reservations, gate info, check in times, etc. Even cool pictures of the places you are going to, people you are meeting, or the event. Important information delivered in calendar app! article. I am also working on a gmail tutorial right now.